After you “fall back” this weekend, spend your “extra hour” with some of the best DIY makers in Detroit. 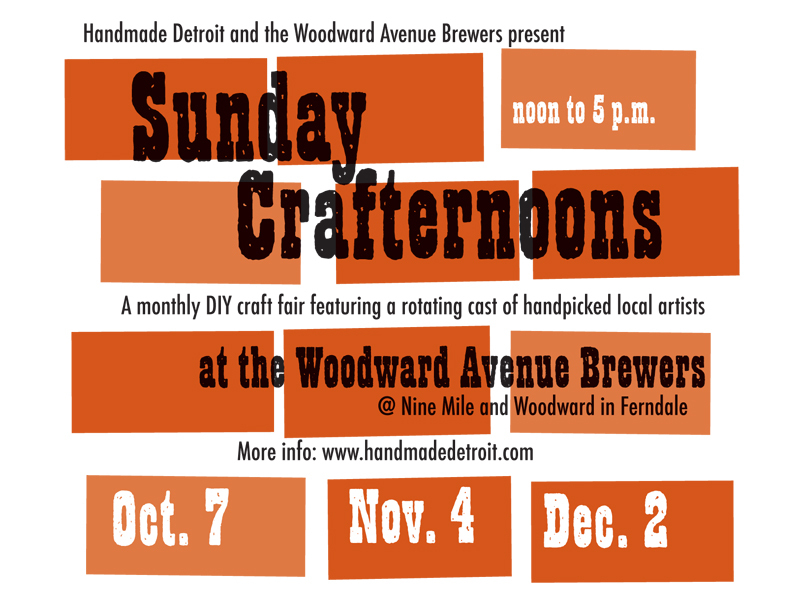 That’s right, it’s Sunday Crafternoon this weekend. Get your handmade holiday shopping off right with Shionne Designs, Eve VanDalsen, Vault 17, Lish Magic, Phantom Limb and Handmade Detroit. Free to browse and open to all!